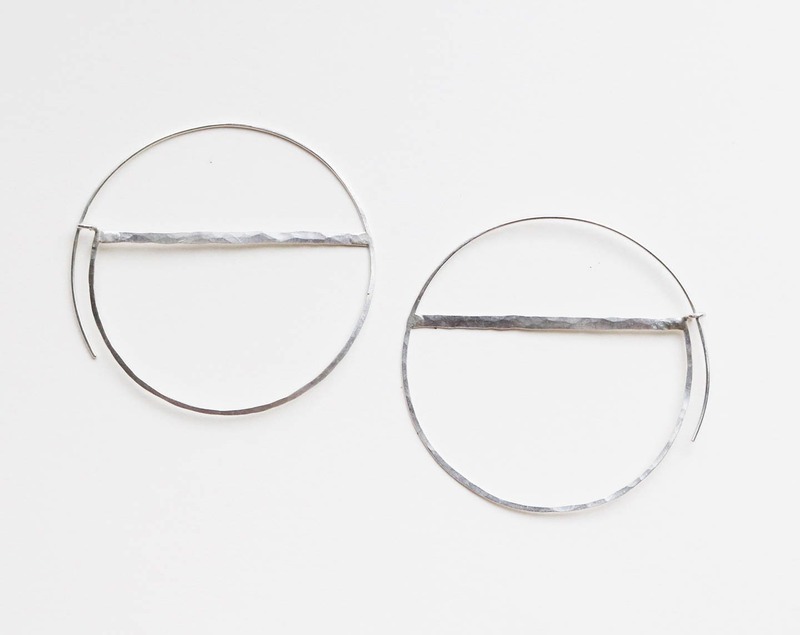 These feather light hoops are constructed by hand from forged silver wire. 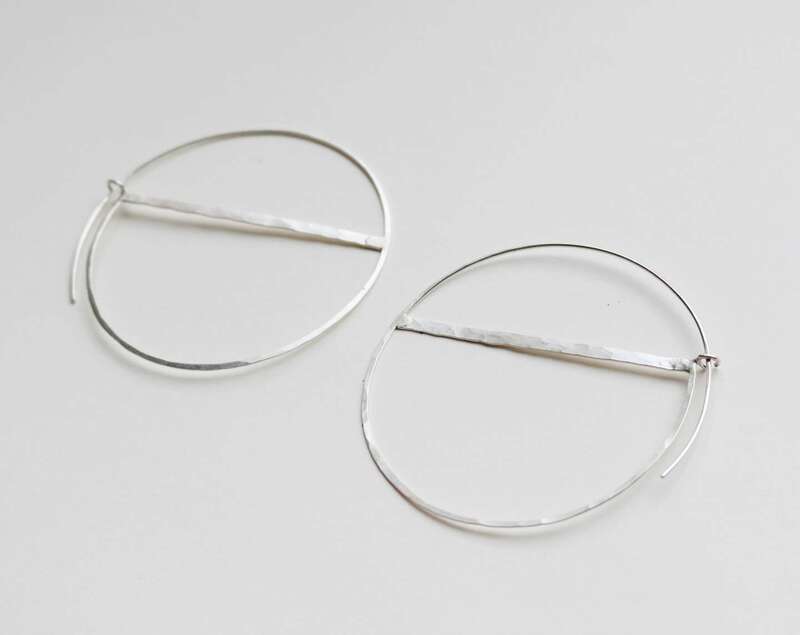 The straight line intersecting each hoop gives them a geometric quality, while also providing structural integrity to the hoops. 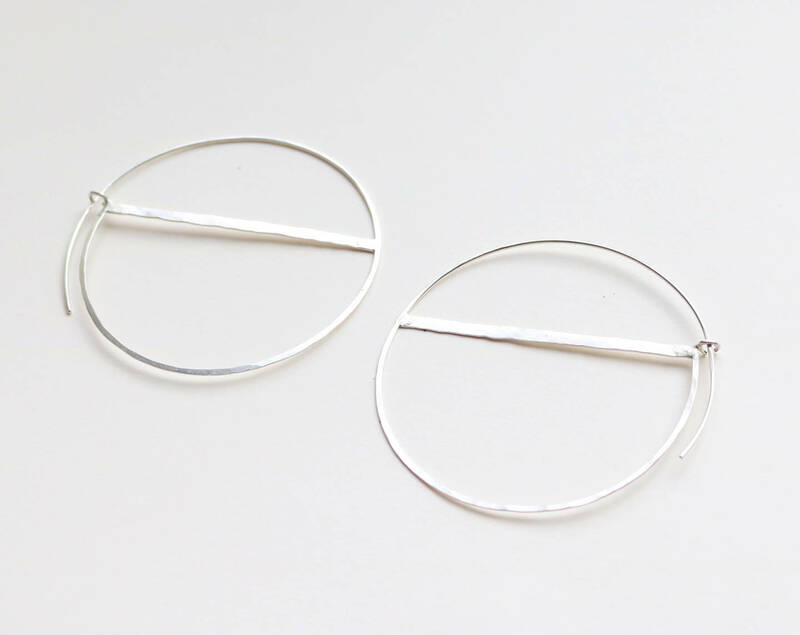 These earrings are as sturdy as they are lightweight, a wire catch will ensure that they stay securely in your ears. 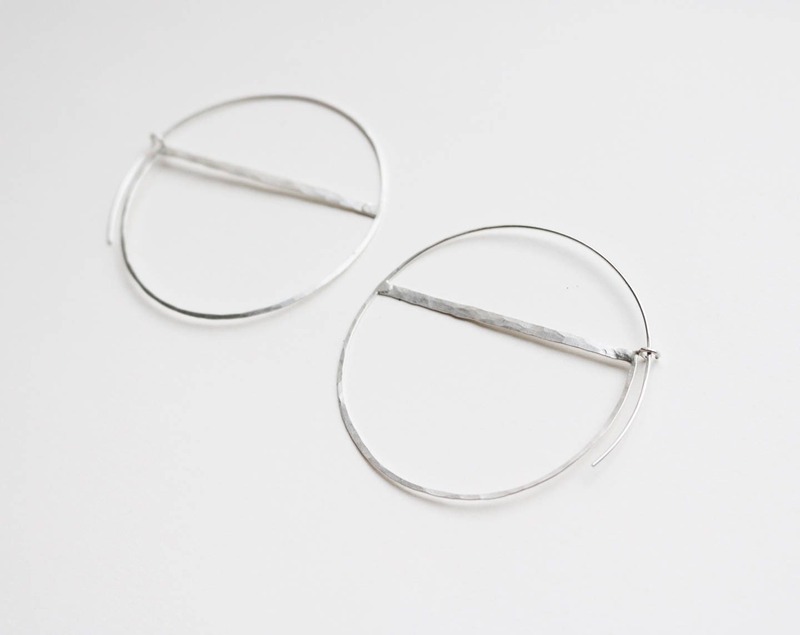 The simple design makes them perfect for everyday wear, as well as a night out. They measure appx 2 1/8" in diameter.